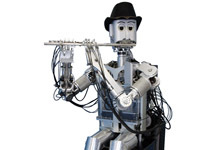 The Waseda Flutist is a robot that can play a flute just like a human can. 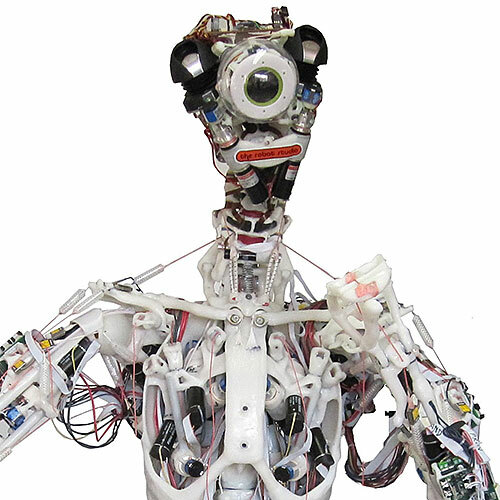 It has lungs, a mouth, and a tongue that are closely modeled on human organs, and it's technically proficient, albeit robotic. 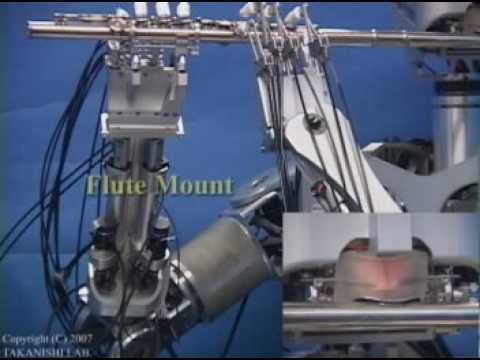 This robot toots its own flute. 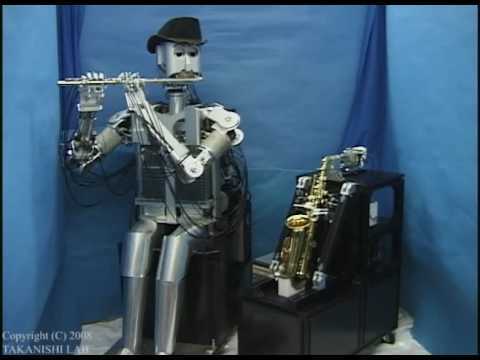 Saxophonist and flutist robots perform a duet. Waseda Flutist learning to improvise. Waseda Flutist performs the "Flight of the Bumblebee." 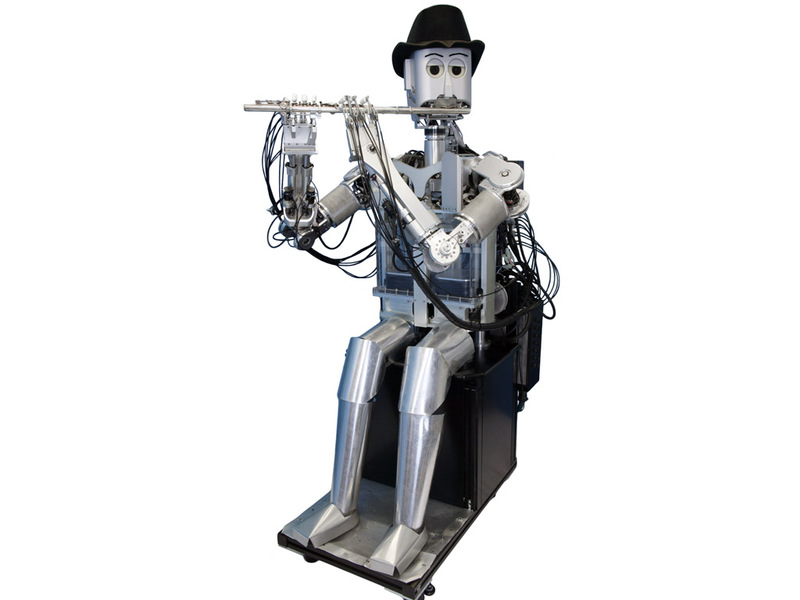 The full name of the robot is Waseda Flutist Robot No.4 Refined VI, or WF-4RVI. 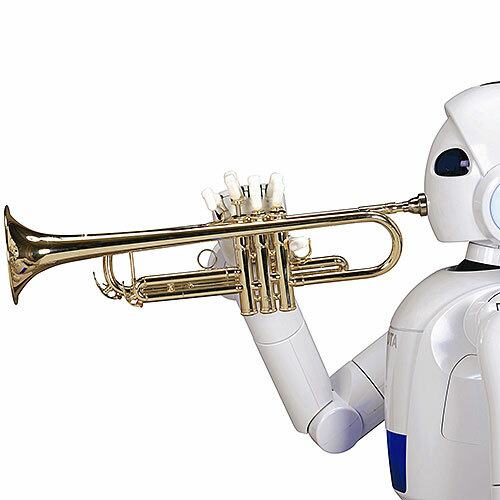 The robot can track the fingers of a human musician and change its own playing to match. 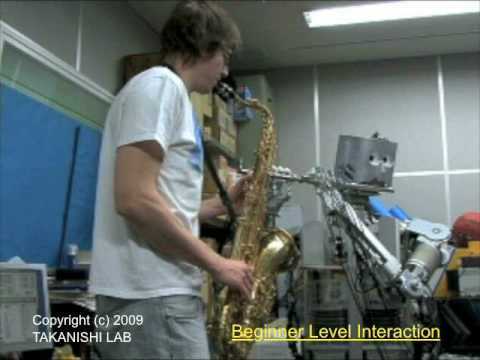 The Waseda Flutist can also act as an instructor, providing feedback to human students to help them improve. 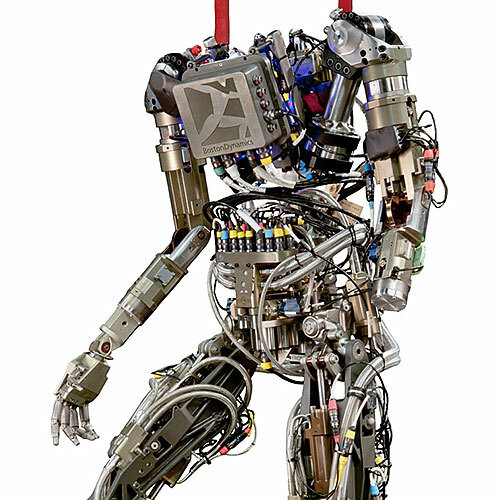 Equipped with actuators that mimic human lips, lungs, and tongue. 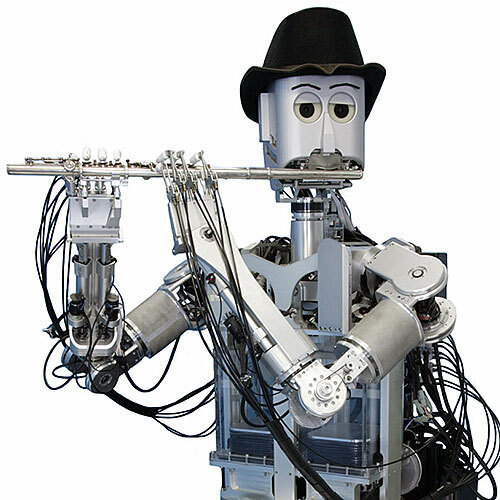 Capable of processing visual and aural cues when playing with human musicians. Two CCD cameras, air pressure sensor, air flow sensor, optical encoders, force sensors, microphone. DC motors, AC motors, and a harmonic drive. 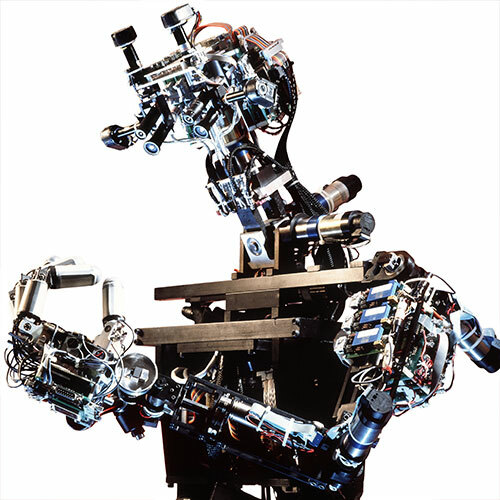 Three computers (one for controlling the robot, one for generating the accompaniment MIDI data, and one for processing data from the CCD cameras). Linux OS. Custom control software. Oral cavity, vocal cord, and lips made of Septon thermoplastic rubber; tip of the tongue mechanism made of gel; lung system made of acrylic; fingertips made of RTV silicone rubber.